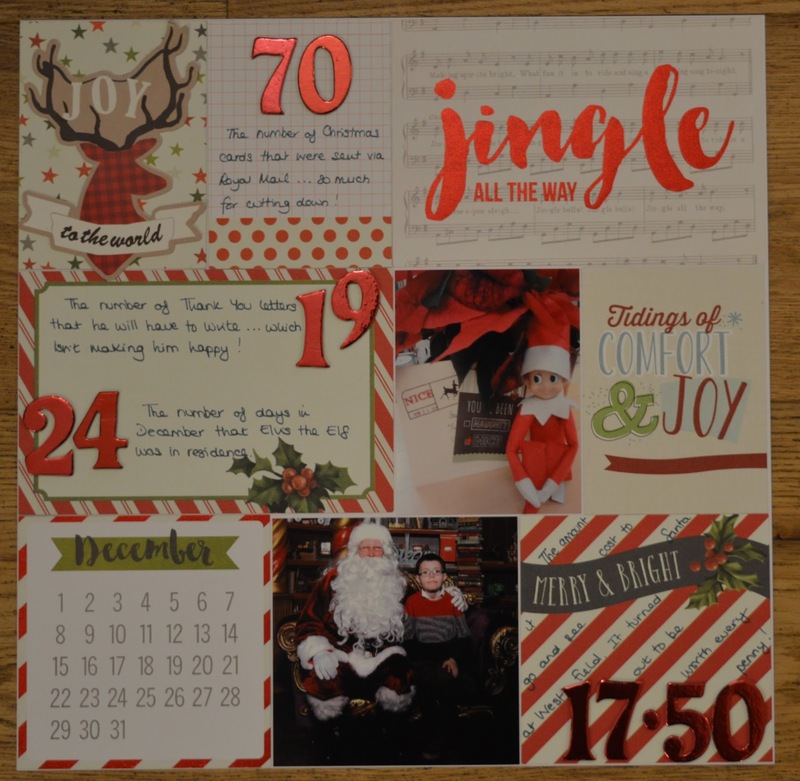 70: the number of Christmas cards sent via Royal Mail … so much for cutting down! which isn’t making him happy. 24: the number of days in December that Elvis the Elf was in residence. 17.50: the amount it cost to go and see Santa at Westfield. It turned out to be worth every penny! Funny isn't it – that at the end of possibly the most numbery-important month [how many sleeps? advent calendars, last posting dates, how many for lunch? etc] – the numbers suddenly go shy. I made lots of notes … and then had to find decent numbers to go with them! My goodness, Santa's wages have really risen since my day! You've packed a lot of December sparkle onto the page. Sending warmest good wishes for 2016.